This medley of gorgeous flowers typifies an english garden in full bloom, and offers a fabulous array of all your summer favourites. For an a centrepiece that sings with charm, look no further than this arrangement that combines classic roses with a variety of delightful floral accents. 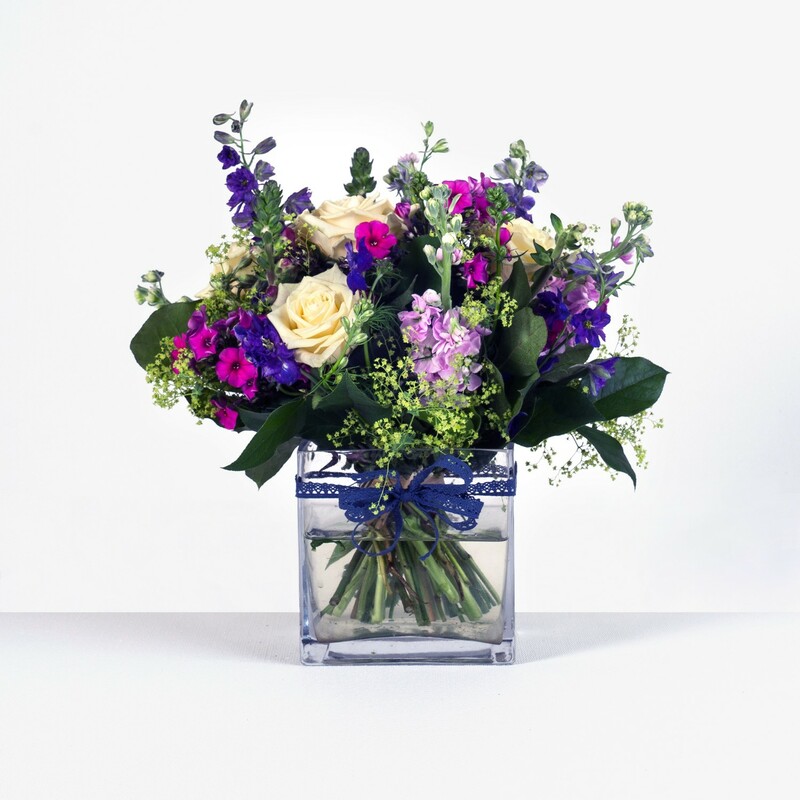 The subtle combination of soft summer flowers look superb when presented in a classic square glass vase, and is both charming and special. The timeless beauty of cream Avalanche roses look magnificent against the spray of hot pink and regal blue from stocks, phlox, larkspur, delphiniums. Finished with a spray of feathery Alchemilla mollis and a delightful splash of green summer foliage.